Check This Out!!! This 2009 Mitsubishi Eclipse GS Is Stylish And Affordable!!! You'll Stand Out On The Road With This Rare Orange 162 Horsepower 2.4-liter MIVEC 4-Cyl Coupe. With Only 85k Miles And A Clean CarFax, Its Yours for Only $7450 Plus Tax And Title. We want you to be completely satisfied with your purchase, so we offer an optional extended warranty at a very affordable price. Just ask for the details. With amazing deals at Fastlane Motor Sales, you will be sure to drive away smiling. We are only minutes away from Interstate 65 or Mooresville Rd, stop by and visit us today! 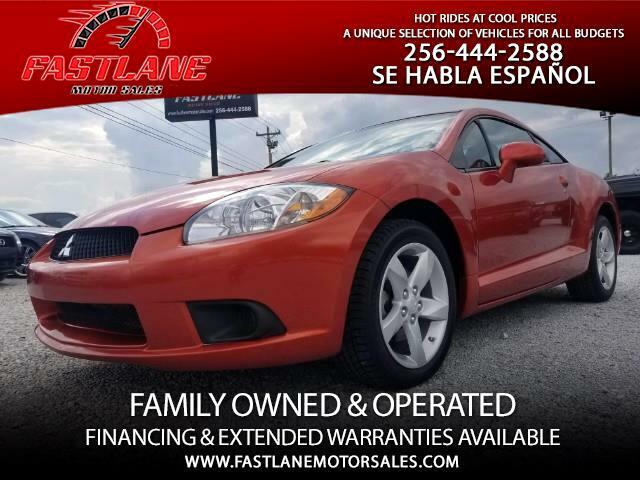 Visit Fastlane Motor Sales online at www.fastlanemotorsales.com to see more pictures of this vehicle or call us at 256-444-2588 today to schedule your test drive. Message: Thought you might be interested in this 2009 Mitsubishi Eclipse.